Kaneshiro plays a Grim Reaper who appears to his victims in human form and spends a week with them before deciding whether to off them or not. A heart-breaking romantic tale, which started from a beautiful lie. Jun Ho, a Korean student who has only 6 months to live due to an illness, but falls in love with a young Chinese woman in Shanghai. A Chinese chick flick smartly welds a cookie-cutter template of meet-cute with blatant gastronomical seduction and eye-pleasing cityscape which one might infer it might be clandestinely sponsored by Shanghai travel bureau. 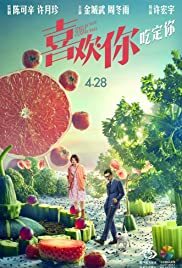 The glob-trotting CEO Lu Jin (Kaneshiro), arrives in Shanghai to assess the buy-out of a boutique hotel nestling in the city center, a choosy gourmet, he is overtaken by the dishes prepared by a young chef of the hotel, Gu Shengnan (Zhou Dongyu), with whom he develops a mutual attraction through the food-ordering-and-preparing contest and consecutively a preposterous co-habitation (sans physical contact though) in the latter's center-located oldish apartment, until a hiccup temporarily severs their growing romance, before a climatic confession routinely rigged up to bring them together. Yes, a synopsis can be applied to most commodities in its often derogated genre. Lu Jin is not a nice person, obnoxious, disengaged, an insufferable obsessive-compulsive germaphobe, but since he is played by a spiffy Takeshi Kaneshiro, all can be forgiven (his repugnant personality has his upbringing to answer for), not to mention his $350 billion net worth, and all thing considered, he is just a lonesome, friendless man who is fostered to have no emotion connection with anyone because of his wealth and status, which will come undone thanks to a slightly loopy girl, who has only 5-year experience in the culinary business but inexplicably can tame his über-demanding stomach. 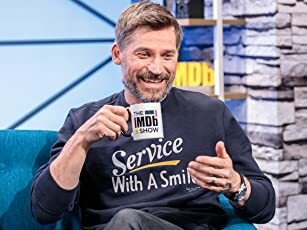 It goes without saying that the film's success is predominantly hinged on the performance from the two leads and their chemistry, and the outcome is moderately propitious. Having an 18-year age gap to paper over, a 43-year-old Takeshi Kaneshiro manages to hold court with his impeccable youthful mien, and brings both exigency and absurdity to the fore if he strives to without winking at the facile script. 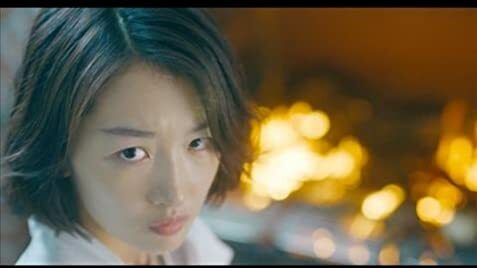 For Zhou Dongyu, who was discovered by Zhang Yimou in UNDER THE HAWTHORN TREE (2010), has now magnificently matured into a young, bankable leading actress of her generation, she is the heroine who precludes the film from sinking into an abysmal vanity project through her vaguely cutesy but visceral outpourings when the movie needs them the most. No room is left for its sidelined peripheral roles though, Chiling Lin is vouchsafed with a glamorized cameo and a much cherished reunion with Takeshi since her screen debut in John Woo's RED CLIFF diptych (2008, 2009). First-time Hong Kong directer Derek Hui does input a few ingenious brainwaves into the cliché-ridden plot, a trippy folie-à-deux occasioned by consuming poisonous pufferfish has serves both as visual novelty and romantic nectar; choosing a local food market when the crunch arrives hews to the tenet of prioritizing Shanghai's vernacular loci over modernized anonymity; and the setting-sun watching finale is an opportune legerdemain to this unapologetically old-fashioned, overly chaste, roundly castle-in-the-air fluff, and this is exactly what I expected!